I was born in 1989, in one of the oldest cities in the world – Plovdiv, Bulgaria. My greatest passion lies in the areas of business, entrepreneurship, digital marketing and personal development. I am always either learning new things, provoking myself, or traveling. I love to inspire the ones around me, to do good deeds, to attend and participate in different courses, lectures, and trainings, love to improve myself and contribute to the development of the young people in Bulgaria, and these are the reasons I am dedicating my time to exactly these activities. Here I will be sharing my experience and interesting things from the online and offline world. Welcome to my own personal web space. In 2019 Tendrik and the digital agency SEOMAX have merged and I became a Managing Partner and Marketing Director.Tendrik reminded the international brand for our clients abroad. Since I was a student, I was attracted to the luxury watches. This is the main reason why me and my partner founded Timedix – online store for selected original outlet watches from famous brands, where you can buy stylish accessory on discounted price. Together with one wonderful and ambitious lady, we decided to create online jewelry boutique SEMANDO, especially for young ladies looking for adventure and glamor at any moment of the day. Tendrik is an IT company that offers complete web solutions such as building websites, online stores, designing and branding, and developing digital marketing strategies for small and large businesses. I have created and continue to manage the company not only with the idea of its success but also with the clear aim of giving young people the chance to develop their skills and abilities – both personal and professional. After an unsuccessful first attempt, in 2011 I created the online store for original branded perfumery Fragrances.bg. Its goal is to be the best specialized online perfumery offering professional service and products at the lowest possible prices in Europe. 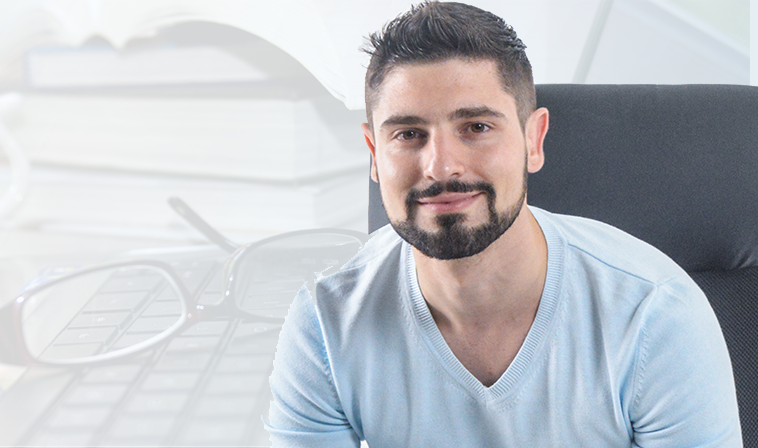 To this day, it is one of the leading Bulgarian websites in its field, operating in Greece and the European Union as well. I have gained my experience in the industry from our family company “Venera Cosmetics”. I have been helping around since I was 13 – I have worked as a warehouse worker, driver, sales consultant, and a manager. JCI (Junior Chamber International) is one of the largest international youth NGOs. It brings together young, ambitious and active people who are actively involved in the realization of events, initiatives, causes and activities to support the development of the younger generation. 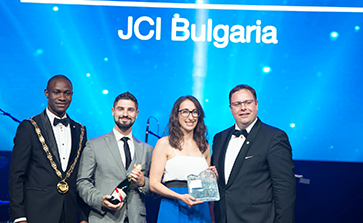 For 2017 I was the president of JCI Bulgaria. Me and my team continue the day-to-day activities of development, organizing events and promoting it as a kind of school that transforms its members and participants into professionals, successful entrepreneurs, active leaders and responsible citizens. I have been involved in the organization of many valuable projects in Plovdiv and the country, such as “10 Outstanding Young Persons in Bulgaria TOYP”, “First Steps in Business”, “Box for Books” and others. In 2016 me and Hristina Dimitrova wrote the first Bulgarian book about the world of perfumes – “Perfumes from A to Z”. The book is a first of its kind, it’s being distributed completely for free and is a unique guide in the world of branded perfumery. In it, we have tried not only to give an answer to all the frequently asked questions about branded perfumes but also to share some useful tips and interesting facts that allow us to peek behind the curtain of one of the most profitable industries in the world. You can find it here. How did JCI influence my life? As a little kid, I would picture myself as a business owner. Even then, I didn’t think of myself as someone who would become a higher executive in a big corporation. I picture my successful career path that would be if I do not apply my CV, not even once, for a job. Instead, I want to work with professionals with great CVs. I want to work and to develop my skills so that I can succeed in my projects while providing others with an opportunity to work and grow as well. When I was little, my role model was my dad. My parents always had their own business, and I grew around their firm, watching how to run and develop an organization. Maybe my parents’ lives and businesses created a blueprint for my professional life – to be an entrepreneur. I spend most of my time attending or participating in various seminars, lectures, conferences and trainings. This way I not only inspire and improve myself but also try to help others achieve the same. Tennis is my passion and one of my favorite ways to spend my time. With it, I not only keep in shape but am also calmer and more disciplined. Tennis is the way I unload the tension and gather new strength. A proud owner of three furry, fluffy and smiling creatures – the Samoyeds Sami, Arisu and Angel. Samoyeds are extremely intelligent and loving, and I can boldly say that my life is better and much more colorful ever since they are in it.